I'm sure some of you have heard ofThis disease - vascular dystonia. The fact is that very often people with certain health problems, go from one doctor to another, but the doctors can not establish an accurate diagnosis. What is hidden under the term, whether it is possible to treat this disease, as it is dangerous, and to what doctor? I'm sure some of you have heard ofThis disease - vascular dystonia. The fact is that very often people go from one doctor to another, with some health problems, but doctors can not establish an accurate diagnosis. Like and cardiogram good, and the results of tests in order, and a person is bad. What is hidden under the term, whether it is possible to treat this disease, as it is dangerous, and to what doctor? Let's understand step by step in this regard. Most often autonomic dysfunction starts atearly childhood. Oxygen starvation of the child during pregnancy or childbirth, birth trauma, pathology in the central nervous system, sometimes all it serves as a starting point for disorders of the autonomic nervous system. These babies are usually often suffer from colds, do not tolerate closeness, complain headache during weather changes, experiencing shortness ofbreath. In some cases, as they grow older, all of these problems go away, and people forget what took place in his life. But it also happens that upon the occurrence of puberty teenager begins to complain of frequent headaches, dizziness, fatigue, anxiety, tearfulness, irritability and short temper. In this case, it makes sense to consult a specialist to autonomic dysfunction during puberty does not exacerbate the life of a teenager. Of course, autonomic dysfunction is not alwayshaving a child, there are a number of reasons, when a person is diagnosed them as an adult. Called factors can be heredity, chronic psycho-emotional stress, various kinds of infections, brain injury, alcohol abuse and smoking, coffee drinking, chronic intoxication, hormonal dysfunctions, neck osteochondrosis and various diseases of internal organs. But first things first. Some patients have frequent tachycardia(Rapid heart rate), increased blood pressure, chills limbs, pale face, heart pain, a symptom of restless legs, and sometimes fever. 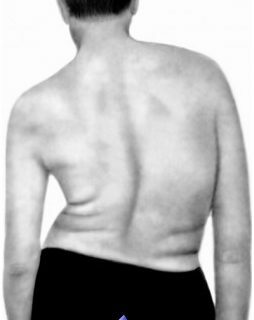 These signs indicate that the patient sympathicotonia. at vagotonia observed bradycardia (slow heart rate),sweating, flushing, low blood pressure. Such an attack is accompanied by choking, dizziness, weakness and nausea, increased intestinal motility. Also, there are mixed crises, when a personIt undergoes a combination of both symptoms. The main thing at this point to understand that a diagnosis of vegetative-vascular dystonia is not life-threatening. In many patients, the panic starts during an attack, do not be afraid, IRR - is the diagnosis, but not a sentence. What is it like allergyYes it is, but with her live, and none of it is not dead. In some patients observed in this disease syndrome, adjustment disorders: meteozavisimost, Fatigue and weakness, intolerance to mental and physical stress. This is due to a decrease in tissue oxygen consumption. Syndrome of mental disorders characterized by such symptoms as a feeling of fear and panic, phobias, increased anxiety, tearfulness, sleep disturbances. hyperventilation syndrome - Is the prevalence of symptoms such asshortness of breath, feeling short of breath, need deep breaths. Some patients have noted that during this attack want to go outside and breathe in the cold frosty air. Sometimes these people can not be in a stuffy room, poorly tolerate travel in public transport, can not withstand heavy exercise. Occasionally people with VSD complain of heartburn, flatulence, esophageal spasms and constipation. Such symptoms indicate neyrogastralny syndrome. The syndrome of peripheral vascular disorders marked swelling, redness of hands and feet, pain in muscles and joints, cramping limbs. All this is due to changes in vascular tone and permeability. cerebrovascular disorders characterized by migraines, vertigo, tinnitus, and the head, near syncope. Such patients can occur in addition to the arterial and venous hypertension. Pain in the heart that occur during physical or emotional stress in patients with vascular dystonia called cardiovascular syndrome. Thus both pulse and arterial pressure may fluctuate. Sometimes this disease occurs during menopause in women, or for other gynecological problems (myoma, Polycystic ovary syndrome). Doctors believe that the hormonal imbalance that occurs in the female body, has a negative impact on the work of the autonomic system. Now it is clear that a lot of VSD symptoms, sometimes they appear individually, but sometimes the patient has more than one. To diagnose VSD requiresprofessional and well-coordinated work of the doctors as a therapist, a neurologist and a cardiologist. Required to exclude other diagnoses that have similar symptoms. On doctors recommend to undergo certain examination date. These include: Computer electroencephalography, magnetic resonance imaging, electrocardiography, vegetative samples. Naturally, the specialist will assign a diagnosis based on the conversation with the patient, considering his complaint. Such a method as electroencephalography (EEG) has been widely applied in neurology, it reflects the work of different parts of the brain. When this type of autonomic dysfunction diagnosis is necessary in order to avoid epilepsy. Magnetic resonance imaging allows you tolayered images of organs. This method of investigation is one of the most modern and accurate. When the diagnosis of "vegetative-vascular dystonia," this kind of diagnosis helps the doctor to exclude certain diseases of the brain, symptoms of which are similar to the symptoms of autonomic disorders. 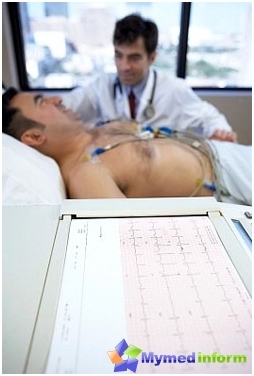 Electrocardiography - is an important method for diagnosis of the heart, which will give your doctor valuable information about the condition of the body. Vegetative samples includecardiovascular tests, determined by which malfunctions of peripheral autonomic nervous system. They conduct a thorough study of the orthostatic test, which detects the level of work of physiological systems and adaptive reserves of the organism. The diagnostics doctor makes a diagnosis and prescribes treatment. Engage in prevention and treatment of diseasesnecessary at an early age. If autonomic dysfunction was discovered as a child and it is not treated, it has all the prerequisites in adulthood lead to various diseases. With timely treatment to a specialist about 80% of patients diagnosed, have the chance of successful treatment. Subsequently, these people restore adaptive strength of his body, the manifestations of the disease are greatly reduced, many people forget about it forever. In the treatment of vegetative-vascular dystonia applyVarious methods. Non-drug treatments: walking, swimming, skiing, hiking, walking in the fresh air, tempering procedures. It is strictly forbidden exercise at the gym, when the head is below the level of the chest, such actions have a heavy load on the cardiovascular system. It is better to resort to a sports game, which will focus on the fun, not the result. Particular attention is given to this diseasepsycho-emotional stress, both at work and in the family. In no case can not be nervous, you need to avoid stressful situations. Recommend watch positive movies, listen to soft music, read positive information, in general, no negativity. Sleep should be at least 8-9 hours a day, because the lack of sleep leads to nervous breakdown system. Sleep is necessary in a well-ventilated area. Preference is given to orthopedic mattresses, which will give your body a natural physiological position. It should alternate between work and leisure, are contraindicatedexcessive exercise. Try, if possible, to spend less time in front of computer and TV. Doctors advise such patients to quit smoking and not abuse alcohol, do not listen to loud music, and refuse to visit the bustling activities. All this is because of their autonomic nervous system is excited, then they can not sleep and their health deteriorates. Sometimes a person with autonomic dysfunction enough to drink a little alcohol, after which happens to fit a panic attack. It is worth to pay attention to nutrition. In hypertensive type of autonomic disorders need to eat beans, cottage cheese, spinach, barley grits; they reduce vascular tone. It is necessary to give up coffee, strong tea, chocolate, alcohol, pickles. When hypotonic type HP recommends tea, coffee, yogurt, milk. This will help improve the vascular tone. When the IRR must be ensured sufficiententering the body calcium, magnesium and potassium. These components are found in peas, raisins, dried apricots, prunes, rose, soy, carrots, nuts, eggplant, buckwheat and oatmeal. In the treatment of vegetative-vascular dystonia onprescription use physiotherapy treatments: paraffin application to the neck and occipital region, electrophoresis with medicinal solutions on the cervical spine. This helps to strengthen the blood circulation in the organs and tissues, improve metabolism. Some patients prescribed a soothing massage. Drug treatment is carried out only under theclose supervision of a physician. It includes: cardiovascular drugs, nootropics, antidepressants, vitamins, calcium and other vitamins. Dosage doctor selects, based on the diagnostic results. To live fully, it is necessary to learn how to cope with autonomic seizures. 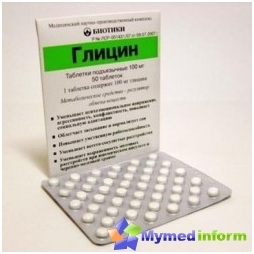 at increasing pressure and quickened the pulse of the need to take one tablet of propranolol. When panic attacks immediately take a soothingmedication your doctor drawn to the dosage, which he established. In any case, the house should be one of the drugs such as afabazol, vamelan, Percy. These are preparations based on plant extracts that will help to stop panic attack. More serious drugs, such as antidepressants, prescribed by a doctor. In a survey of patients with VSD was found that theattack can not dwell on the issue. Some are saved by the fact that at that moment distracted. One woman told how to beat panic attacks. At that moment, when she felt the impending attack, she turns on the TV and looked into what's happening on the screen. On another occasion, she ran into the kitchen, opened the water and began to wash the dishes. She came to the conclusion that the urgent need to distract yourself and possibly something to do. By the way, these people who are in such a way to defeat the disease, quite a lot. Doctors fully agree with this, they have come to believe that the power of the will in the fight against this disease is crucial. The main thing you remember, if you put this diagnosis - timely conduct courses relapse prevention, engaged in physical therapy, take vitamins, and enjoy life in all its manifestations.